dedicated to promoting the spoken word art of Kansas poets and story-tellers. Paperback version of "Herald of the Resurrection" is now available. Visit Store for more information. While many pundits ponder the question, “What’s the matter with Kansas?” the four poets on this album – as well as the poets and story-tellers who will appear on future albums in this series – know first-hand the beauty of the state and the goodness of its people. And they know how to eloquently convey the goodness and beauty of Kansas to others. 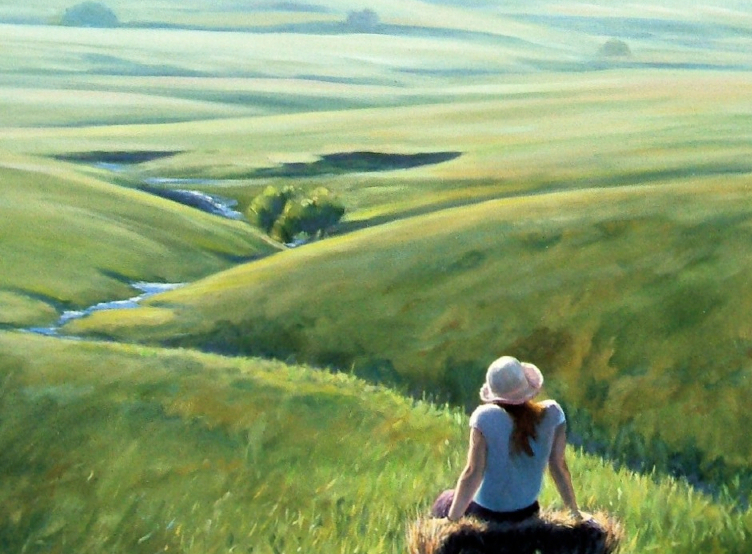 But “View from Smoky Hill” is not only about Kansas; this is, in the end, a view from Kansas, meaning the perspective of Kansas poets and story-tellers on life in general. Whether mourning the death of loved ones and portraying the fragility of life, or reveling in the taste of a baked potato, or commenting on the relationship between a son and his father, they bring their unique perspective as Kansans to the task. And they do so while closing the distance that inevitably separates reader from printed page by tapping the intimacy of the spoken word.